So many lightworkers are secluded, isolated, and feeling alone these days. We often serve others and minister to everyone–except ourselves. Some have been hurt by people they trusted, even “spiritual” people who were supposed to show unconditional love. We’ve played it “safe” by staying out of public places to protect our sensitivities. We’ve even stayed away from spiritual outings and gatherings to keep from being hurt even more. We seem to trust no one! The truth is we need each other. While it’s a good thing to spend time alone in nature or listening to our inner guidance, we tend to be hermits! It’s time to take down the walls around your heart and begin to trust that you are wise enough to know who is safe and who is not. The gift of discernment is a spiritual gift that every empathic or sensitive person has. Many don’t use it because they either look to gurus to tell them what to believe or they don’t trust what they inwardly sense to be true. Are you done with the loneliness that comes from not allowing others to minister to you? Are you ready to spend time with like-hearted people sharing energy, love, and modalities with one another? Check out the Fall Gathering of Lightworkers near Nashville, Tennessee. Come and have fun with us! Look at the tentative schedule of activities we have arranged so far. Lee Ashley will facilitate a Cree pipe ceremony as part of our welcome circle on Thursday night. The 36th Annual Indian Education Pow Wow & Fall Festival is this same weekend and we plan to carpool to the event on Friday morning. We return to Sweethome in time for dinner and a group meditation that evening. On Saturday morning Lori Miles will teach a kundalini yoga class. Lee will lead a Cree sweat ceremony that afternoon. Sandy will teach body analysis and show ways to do self massage. I’ll be offering a light language class on Sunday morning. Janna will facilitate the wand and staff making art session that afternoon and we will have a community drum circle that evening. On Monday, Lee will assist us to create our very own talking sticks. Hal is coming to share his poetry and has free books to share! I’m offering discounted private coaching/light language sessions throughout the event. We need bonfire keepers, classroom set-up crew, laundry helpers, etc. What would you like to offer your soul family? How can your soul family minister to YOU? We have four bedrooms to share with our guests (two per room/bed). When those spaces fill up, we will open floor space (sleeping bags/bunk rolls) indoors, and offer tent camping outside. The modest price of $40 per night per person covers lodging and basic toiletries and linens, art supplies, and all of your meals during the event at Sweethome. 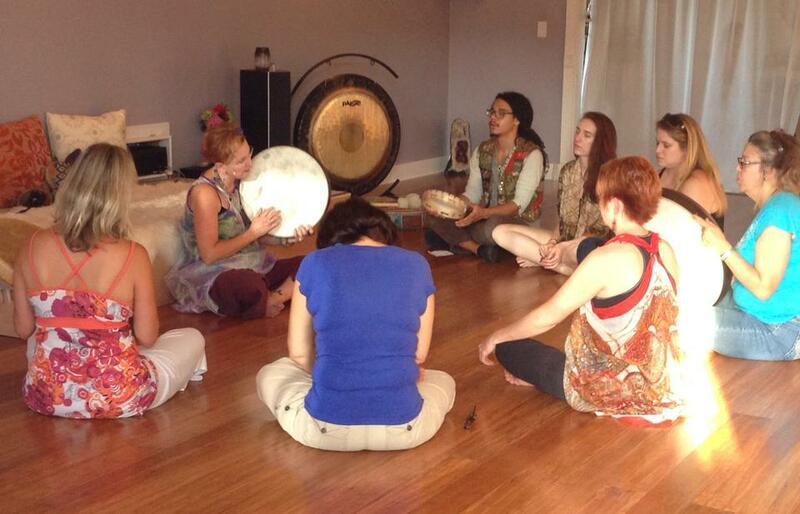 All of the group classes/sessions we offer to one another are free. Space for this event is filling up fast so I encourage you to get your reservation in now. See our AirBnB listing for photos inside Sweethome Retreat.